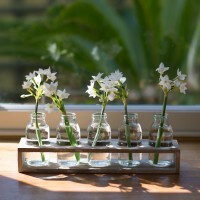 Beautiful wooden tray of vintage style mini glass bottles ideal for displaying spring flowers from the garden. 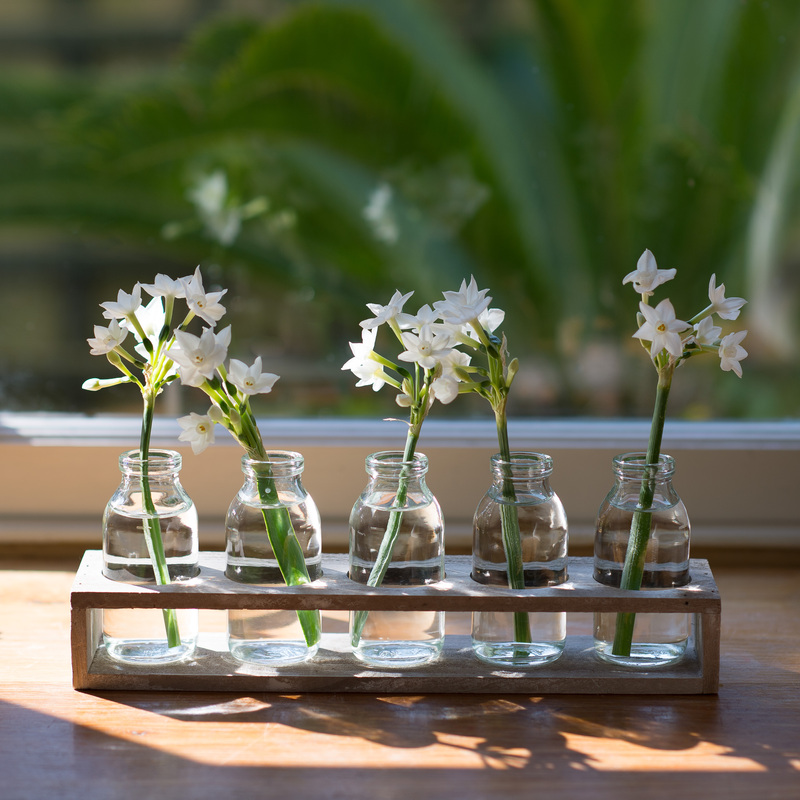 Charming set of five vintage style glass bottles or vases ready for you to fill with your own flowers from the garden to display on a window sill or as a table centrepiece. 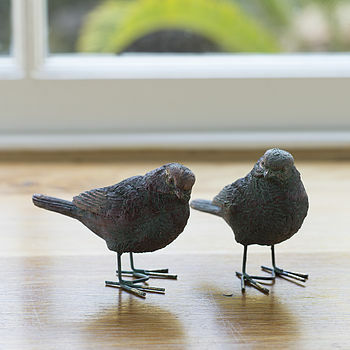 Right on trend, this is a stylish gift for any proud home maker to add a little extra chic or maybe it’s time to just treat yourself!